Family owned and operated since 1971, Audiotronics has been at the forefront of A/V technology for 40+ years. From media rooms to residential theaters, we have the expertise to ensure you will have the absolute best entertainment experience right in the comfort of your own home. Audiotronics is a full service premium solution for all of your residential, mobile, and marine installation/service needs. Home Theater and whole house audio solutions for a home designed for lifestyles of today and prepared for lifestyles of tomorrow. eInteractive is the leader in high-end home automation, specializing in the installation of structured wiring, house music, lighting & climate control, home theater, security/fire, home automation, and more staying on the cutting edge of technology while meeting the ever changing needs of our customers. Our rare combination of engineers, systems designers and installers can provide creative designs, systems integration and flawless control of your home or business. Deal Stereo will transform your visions into reality. It begins with our consultations & assessment of your project. We will confirm all aspects by analyzing usage, environmental and other criteria. From the outset, we will manage expectations so you will know your project’s status until completion. Your systems will be installed on-time and on-budget. iTEC Consultants is a Design Build Technology Solutions firm who assist Residential and Commercial Trade Professionals and their clientele by providing value engineered integrated electronics solutions which meet our clients needs and work within their defined budgets. Our mission is to make quality time with your family enjoyable and safe and your work life just a little bit less stressful. From access controls to whole house audio, we will design and install the perfect system for your needs. Whether you are in the New York, New Jersey, or Connecticut area, we will be there and on time! Home theatre systems have become increasingly popular with many families in recent years as the technology has improved and as the prices have become more reasonable. Along with the improvements in the technology of home theatre systems, also has come a higher degree of installation complexities that might be a challenge for many homeowners. 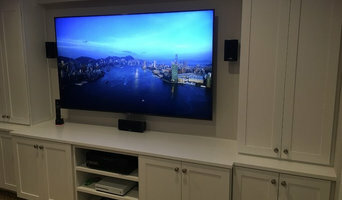 Travers Home Solutions is a company that specializes in the professional installation of home theatre and flat panel display systems, as well as whole-house audio, cable tv, telephone systems, and computer networking. Tom Travers, a long time resident of Westfield, New Jersey, with over 20 years experience in fiber optic engineering, custom residential and industrial wiring installations in the audio/video field, established this company in response to the need that most homeowners have with the installation of many of the new and exciting audio/video products on the market. Tom will personally come to your home or office to brief you on your installation options and in many cases, to provide a free consultation regarding the best system for your space and budget. 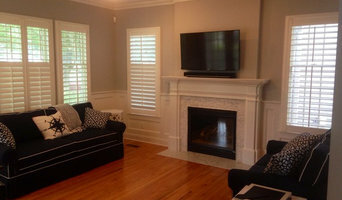 Once you make your decision, he will install your system in a timely and professional manner. Travers Home Solutions is known for their high quality workmanship, thorough, clear instruction in the use of the system as well as a follow-up program to provide ongoing support. Whether you desire a full home installation, an upgrade of your existing media room, a productive multimedia conference room, or simply a new television, Park Avenue Audio is a company that you can count on to deliver quality products and exceptional service. Our team of professionals is unlike the staff you’ll find at other home theater and big box stores. 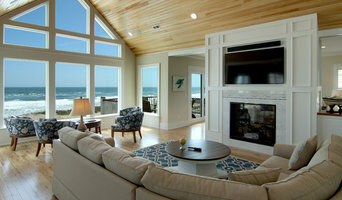 Cedia and Crestron certified and bestowed with numerous design and installation awards. Security box is a company built on the future and safety of its customers. Each security and automation system is designed, installed and maintained to not only protect you and your family, but also allow you to bring a new-found experience to your home or place of business. This company’s goal is to always be in front of technology. We only use the most up to date technology such as LTE communicators, control panels with LCD Screens, and Z- wave devices. Our customer service is updated to fit with your needs both presently and in the future. Each customer deserves a company that is as knowledgeable and passionate about safety and security technology as we are. We provide a single source for the design, development, and installation of elegant, intuitive residential control systems Working with architects, designers, engineers, builders, and home & business owners, we create beautiful environments that simply work. Kaiden Home Technologies provides residential and business clients with technology solutions for entertainment, management, and infrastructure for today’s and tomorrow’s digital homes and offices. We provide design, installation, consultation, and service in areas such as distributed audio systems, data/IT & networking systems, lighting & shading systems, security & surveillance systems, home automation, TV installations, home theater installations and much more. 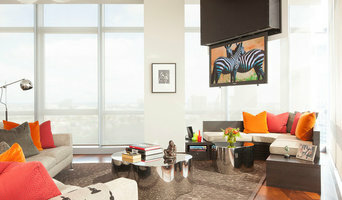 We are a HOME TECHNOLOGY company based in Manhattan, NY. We offer complementary consultations and are fast and reliable. Please visit our website www.housesystems.net for a list of our services.